Style #T3438 The Cool-jams Moisture-Wicking Cami Pajama Set features a cool and comfy camisole with matching drawstring full long pajama pants with side seam pockets. The Cool Supports by Cool-jams cami top features ourcomfy built in shelf bra. 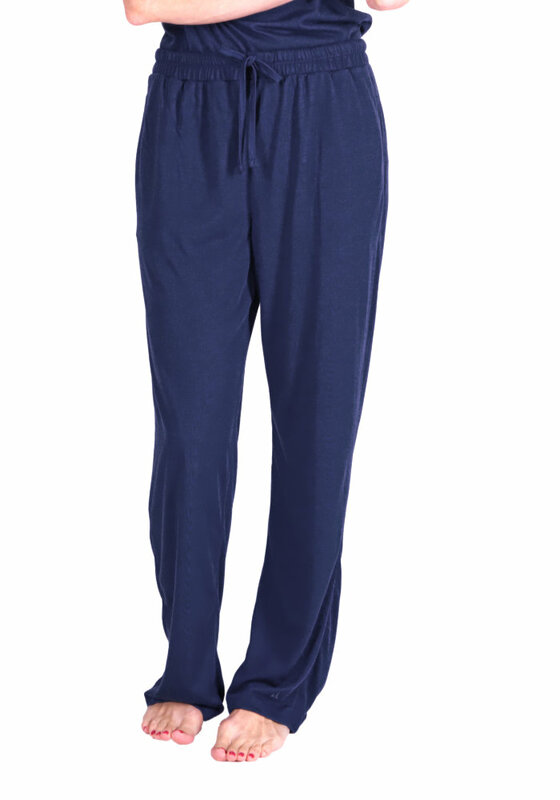 The long pant bottoms have an elastic waist with added drawstring for comfort. The super quick drying, silky soft, moisture wicking smart fabric we use in our Cool-jams moisture-wicking cami pajama set is perfect for travel or hot nights. 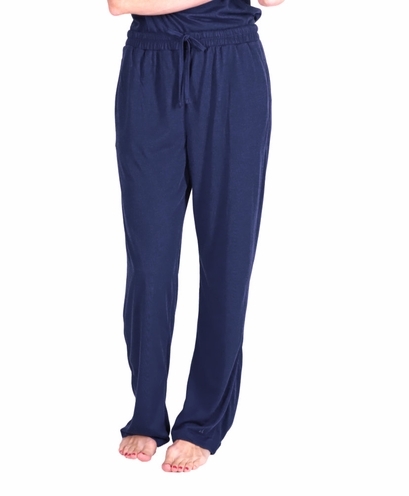 Wear Cool-jams versatile and comfy women's pajamas during the day or while sleeping. Every Cool-jams garment uses our Cool-jams smart fabric technology for a super soft, cotton-like feel with wicking ability that never washes out. In fact, the wicking action is scientifically woven into the fabric itself along with technology that inhibits the growth of odor causing bacteria keeping Cool-jams comfy women's pajamas fresh and odor free. The pant inseam is 30". Garment weight approximately 10 oz. Wash your moisture-wicking cami pajama set in cool or warm water on gentle cycle. Never use fabric softener or fabric softener sheets because it will minimize the wicking properties of the fabric. If you accidentally use fabric softeners, re-wash the garment in clear water to remove softener residue, so the wicking properties will return to maximum effectiveness. Lay your moisture-wicking cami pajama set flat or hang to dry. Tumble drying won't damage the moisture-wicking camisole and pants, but can sometimes create static. Bust Size 34-36 in. 37-39 in. 40-42 in. 43-46 in. 47-50 in. 51-54 in. Hip size 35-37 in. 38-40 in. 41-44 in. 45-47 in. 48-51 in. 52-55 in. I love the long PJ bottoms. I regret that there are limited choices with pockets.